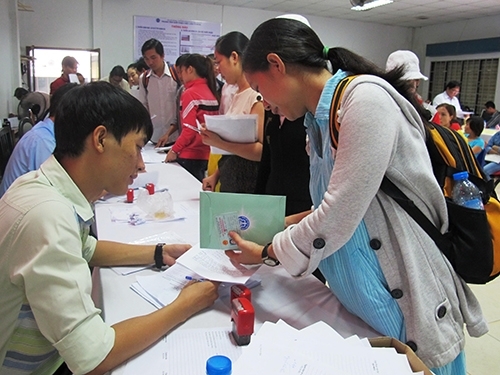 HCM CITY – HCM City needs to hire 25,000 workers this month, the city’s Human Resource Forecast and Labour Market Information Centre said. Trần Anh Tuấn, deputy director of the centre, said enterprises tended to hire workers with technical skills and work experience. About 30 per cent of the workers in need will work in the basic services sector as security guards, household assistants, salespersons and receptionists. About 40 per cent of the workers will work in the plastic, garment, carpentry and fine arts as well as electronics sectors. The remaining 30 per cent of the workers will work in sectors of information technology, mechanics, architecture and marketing, besides import and export and real estate. Reports on the city’s labour market released last month showed that the labour market tended to need more workers with experience and professional knowledge.